The phrenic nerve sends signals from the brain to the diaphragm. 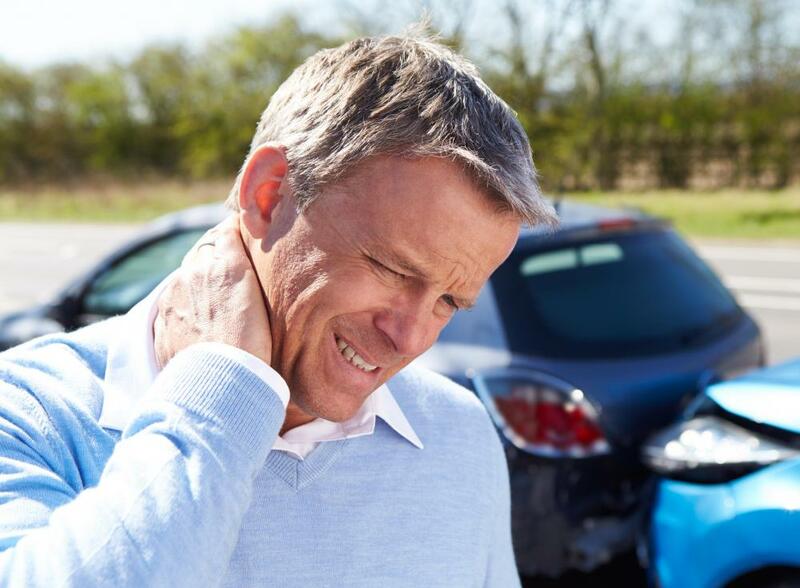 A neck injury may cause damage to the phrenic nerve. Symptoms of a phrenic nerve injury may include difficulty breathing. 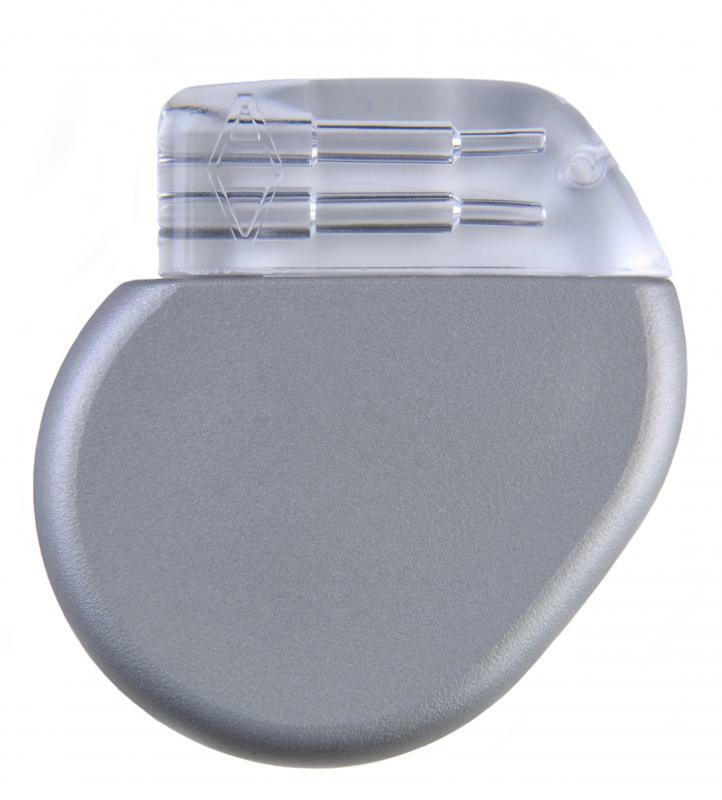 A pacemaker may be surgically implanted into an individual that has difficulty breathing due to phrenic nerve damage. Physical trauma is the most common cause of damage to phrenic nerves. The phrenic nerve is one of a pair of nerves, designated left and right, that sends signals between the brain to the diaphragm. When the diaphragm moves, it pulls air into and pushes it out of the lungs. The nerves receive automatic signals to keep the body breathing, but people can also exert some control over the movement of the diaphragm, allowing them to do things like hold their breath. Damage to the nerves impairs that ability and can sometimes cause very serious medical problems. The phrenic nerve originates in the brain and initially travels down alongside the main spinal cord that is encased within the backbone. The twin nerves immediately branch away, exiting by the 3rd, 4th, or 5th vertebra in the neck. The right phrenic nerve passes underneath the muscles of the neck and bones of the shoulder to the base of the right lung, where it comes into contact with the heart and the windpipe. The left nerve follows a similar path, passing close to the heart before entering the diaphragm. The diaphragm is a large, dome-shaped muscle beneath the lungs that receives its operating signals via the phrenic nerve. 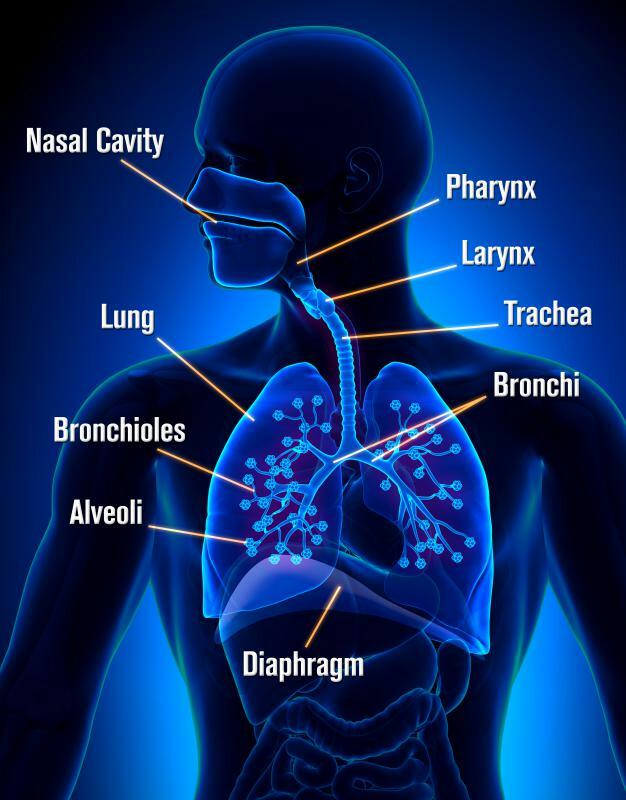 When a person inhales, it contracts to give the lungs more room to fill with oxygen-rich air. When a person exhales, it relaxes and pushes up against the lungs, helping expel waste gases like carbon dioxide. It also exerts pressure on the abdominal cavity to help with other bodily functions, like throwing up or urinating. It is one of the few muscles that can operate both involuntarily and under human control. During sleep, the brain sends regular instructions for the diaphragm to contract and relax, but the brain can override these instructions if a person needs to hold a breath. Besides sending signals from the brain to the diaphragm, the phrenic nerves also collect sensory signals to send back to the brain. This includes things like reports on whether it is contracting properly, any pain felt, and the temperature from it and the other organs and tissue within the chest. This enables the brain to regulate respiration properly. Illnesses affecting the phrenic nerves specifically are uncommon; diseases of the nerves are usually systemic, affecting the entire body. Physical trauma causes most cases or direct damage to these nerves. 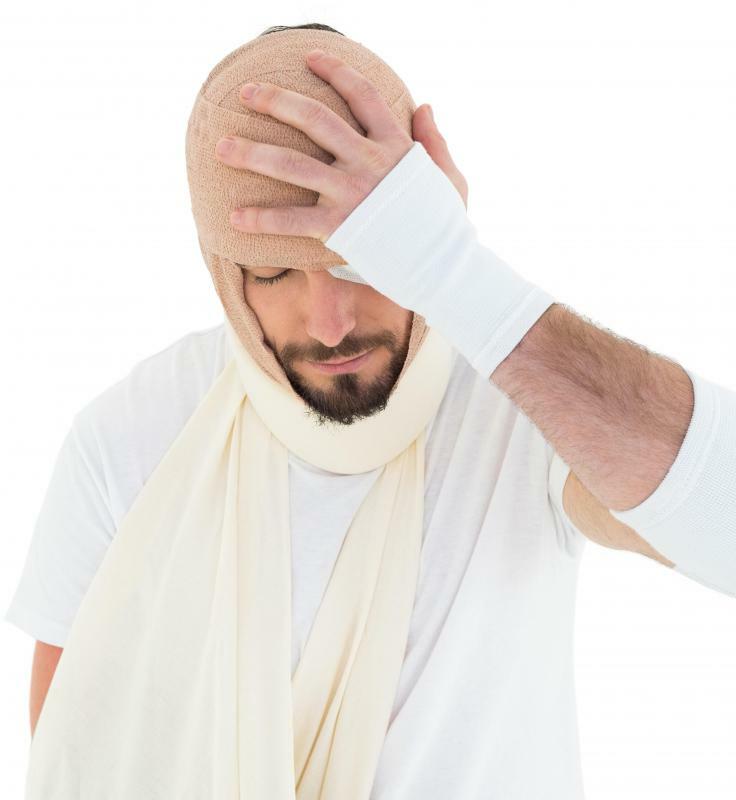 This usually happens when a person has a neck injury, or when a surgeon accidentally damages them during an operation in the chest or abdomen. Irritation of the phrenic nerves can produce some unusual symptoms. It can trigger the hiccup reflex, which is a sudden, involuntary contraction of the diaphragm that causes the lungs to take a small gulp of air. A less common symptom is a pain at the tip of the shoulder blade, a phenomenon known as Kehr’s sign. This type of pain can have other more serious causes as well, and should be evaluated by a healthcare professional. The telltale symptom of phrenic nerve damage is difficulty with breathing. Since there are two of these nerves, a person will still be able to breathe if one is damaged, but it will be difficult. Damage to both nerves is a medical emergency, since the diaphragm will be paralyzed and a person will be unable to breathe. Breathing difficulty from phrenic nerve damage may resolve on its own with time, since the nerves can potentially regenerate themselves and establish new connections. Anyone with breathing difficulty should be seen by a medical professional though, to rule out other causes. If a person continuously has trouble breathing related to phrenic nerve damage, he or she may be given a breathing pacemaker, which is a surgically implanted, battery operated device that discharges regular electrical pulses that stimulate the diaphragm to contract. A procedure called plication is also sometimes used. This consists of surgically modifying the diaphragm so that it stays down more than usual, which allows the lungs more room to expand. What is a Nervus Vagus? Can it cause vomiting and nausea after the fusion of a c3-7 and laminectomy. I have been so sick after this. How do I know if something was damaged? What tests can I have? I have bone swelling in several areas on my left neck as a result of left phrenic neuropathy! So forget this and I will find a surgery to attack this problem head-on! See a chiropractor in case the phrenic nerve is pinched. I am doing just that because I couldn't breathe and it was not asthma. After one adjustment, I already see a 20 percent improvement! With lung cancer, is it pressure on the phrenic or vagus nerve from the swollen lymph nodes that causes hoarseness? I have had my gall bladder taken out laparoscopically about four years ago. Over the past two years I have had relatively severe right shoulder and neck pain which my doc called a bursitis/burtritis of my shoulder. Interestingly some days I have no pain at all. Could this be phrenic nerve involvement? Can a gastric/duodenal ulcer cause right shoulder pain? I was born with a diaphragmatic hernia that was repaired when I was a year old. Everything seemed to be fine growing up but as I get older and my eating habits changed (very picky eater), I notice when I eat too much over the norm that I get shoulder pain and could never figure out why. Finally, I found out about the phrenic nerve; it's revealed. Everyone just thought I was crazy. Maybe that, too. Can a phrenic nerve be damaged during a cardiac catheterization? which resulted in my gasping for breath which was diagnosed as stress to the diaphragm and obesity, which I was informed I 'had to live with.' It's like living in an asthma attack. Last year a left sided CVA revealed it to be phrenic nerve damage. Can anyone suggest any sort of exercise or treatment? Damage to the phrenic nerves would cause which of the following? for what it is worth, in 1998 I had a tumor in my chest cavity (a malignant thymoma -- fairly rare) removed surgically. The tumor had started to leave its encapsulation and had wrapped around my left phrenic nerve and the surgeon (who was superb) had to remove my left phrenic nerve. While my breathing suffered somewhat, I still work out on a regular basis and really don't notice the difference on a day to day basis. my sense is that the body adapts with my left lung expanding more horizontally and the right lung expanding more vertically. however, i am much more susceptible to bronchitis and pneumonia. my phrenic nerve was paralyzed when i was stabbed in the neck/chest. it wasn't discovered until 14 years later when i had a chest x ray and my bowels crept into my chest. the surgeon said my diaphragm was three times the normal length from stretching over the years. so he sutured it on top of itself. i still have trouble breathing, and an elevated diaphragm. i don't think I'll ever be normal again and i can't sing anymore. what happens now? my insurance ran out and I've got no pain meds or money. Phrenic nerve damage can also be caused by the neuropathy that can occur during diabetes, and often requires extensive treatment. Just another reason to stay healthy! @Littleman -- There are methods for artificial phrenic nerve stimulation. If the phrenic nerve is damaged so badly that it ceases to function, the most common solution is a diaphragmatic pacemaker. Like the pacemaker used to stimulate the heart, a diaphragmatic pacemaker electronically stimulates the nerve, causing the diaphragm to contract and expand, allowing the person to breathe. It's a pretty new procedure (just approved for use in the US in the last ten years), but seems to be here to stay. So what happens if the phrenic nerve is irreparably damaged? Does it completely prevent a person from breathing? I assume doctors have a way of dealing with this, does anybody know what it is?